When harvest is abundant, Fruit liquors are a fun and tasty way to enjoy the extra fruit hanging around. In this article we’ll go over 5 easy steps in preparing fruit liquor with the fruit of your choice. 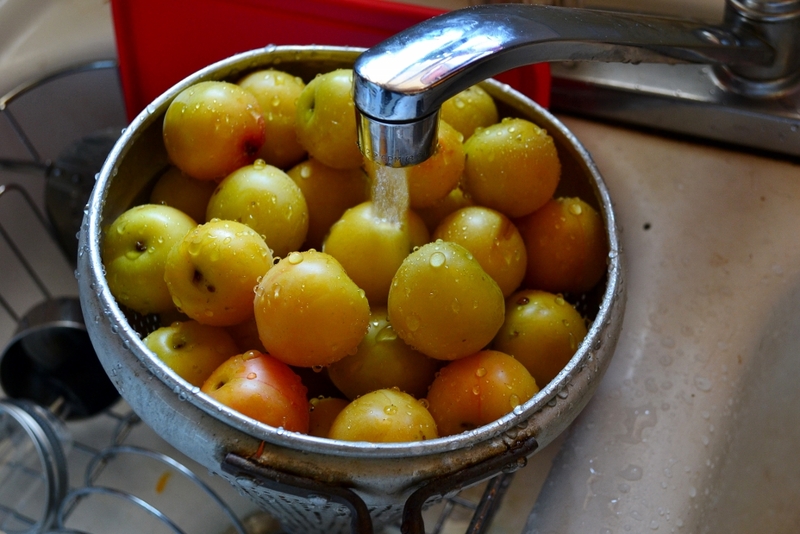 Pick a fruit that is fully ripe, full of juice, and can easily be packed into a jar without crushing. 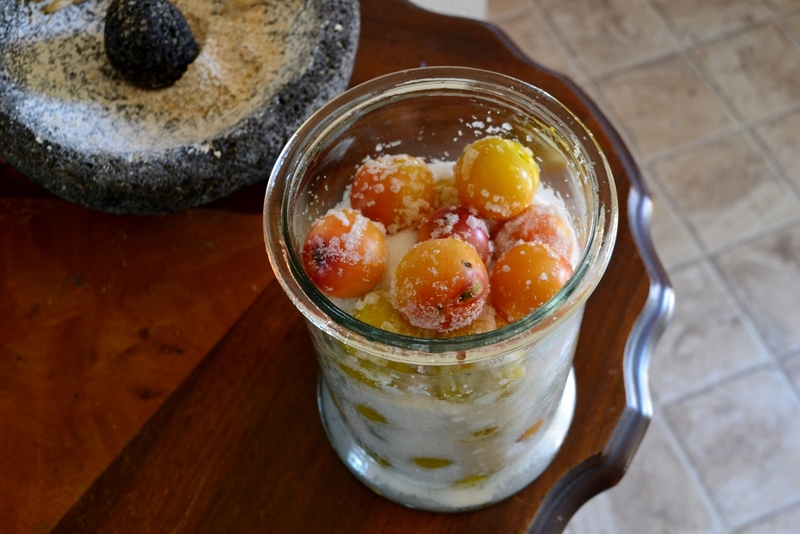 In this case, I’m using ripe plums from a forgotten bearer found during a favorite hike. When out on your favorite walk keep an eye out for a forgotten bearer. 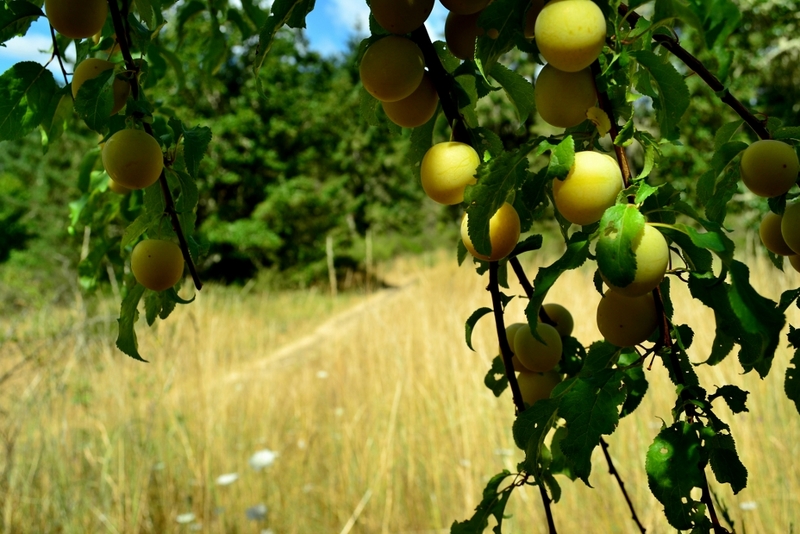 These plums will make an excellent liquor! Using cold fresh water, rinse off and pick away any sticks, leaves, or bugs. Fruit should be handled with care as not to bruise or break open the skin. Using a clean jar with a removable lid place the whole fruit inside, shaking and turning to fill in all the gaps. As you fill the jar with fruit add sugar. 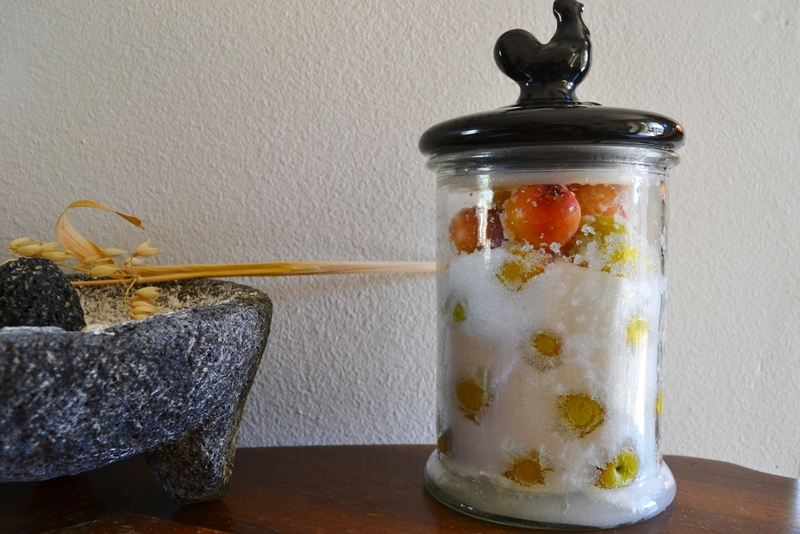 Place lid and set jar in warm sunny location. Completely cover the fruit with sugar. Lid should not be air tight, but tight enough to keep out bugs. This is perhaps the hardest part. The process of osmosis will take a few weeks to over a month as the sugar pulls the juice from the fruit. You’ll will know the process is complete once all the sugar has been dissolved into a juicy syrup. 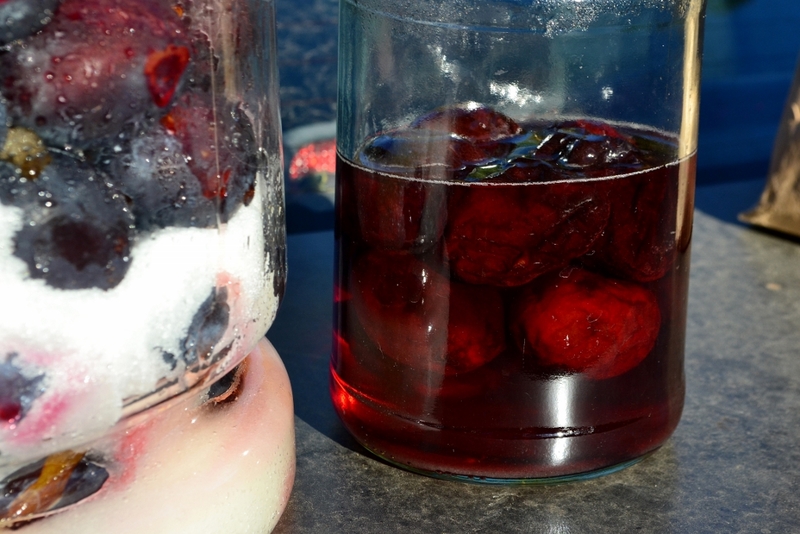 Eventually the juices will be pulled out of the fruit as seen in the jar to the right. You may notice the smell of alcohol, slight fermentation is natural. While straining out the fruit, pour the syrup into a clean, sealable container and pour in an equal amount of your favorite vodka or tequila. You now have a delicious fruit mixer especially great for sour mixed drinks! Of course you can keep it simple, just pour equal parts of the fruit liquor with equal parts grapefruit juice on ice & topped with a fresh lime squeeze. YUMMM!